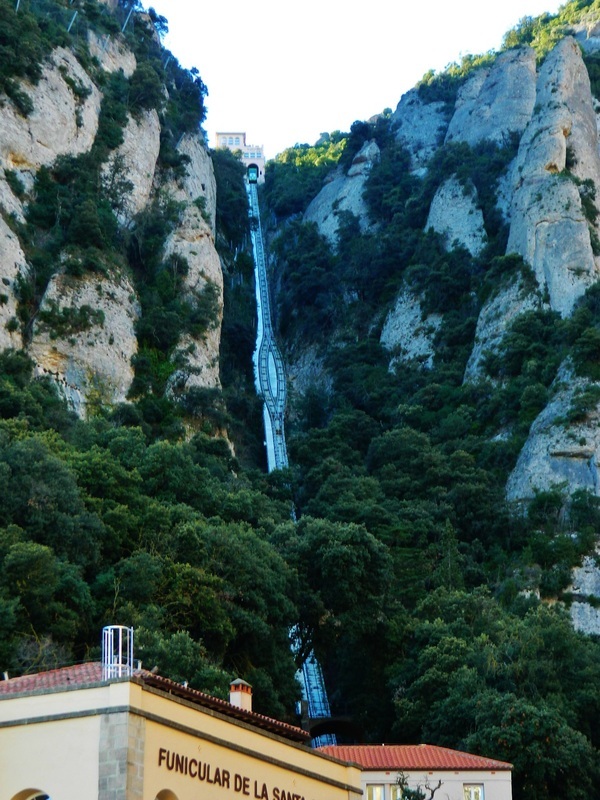 Montserrat ("serrated mountain"), just 30 minutes outside of Barcelona, is the site of a Benedictine Monastery where a small group of monks still live and work today. As Benedictine monks, they follow the three rules of St. Benedict...poverty, chastity, and obedience. 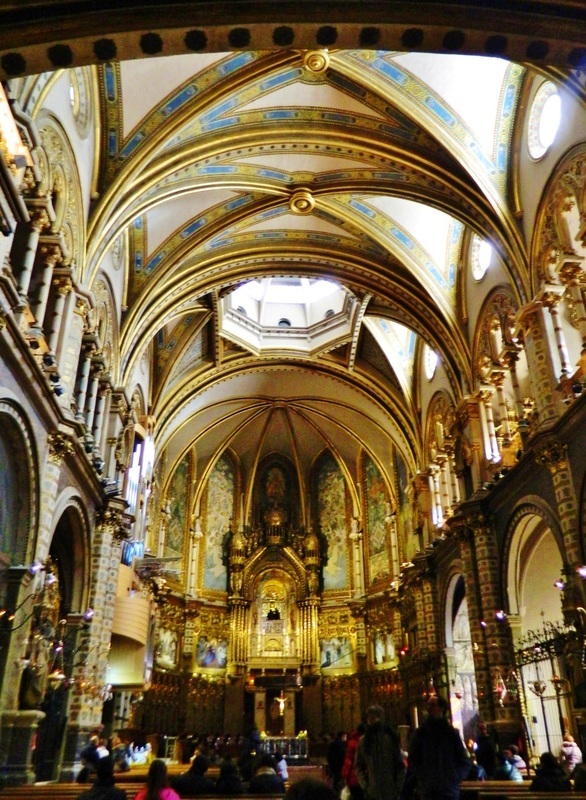 The basilica on Montserrat is home to a statue of the Black Madonna, La Morenata, and thousands of people make a pilgrimage here every year to touch the orb she holds in her hand. This is especially popular with newlyweds who come seeking Mary's blessing. The Montserrat Escolania, or choir school, is also located here and is considered to be the oldest music school in Europe. We did not see them, but about 50 young boys who live and study at the monastery make up the choir which performs periodically at the basilica. Montserrat is one of my favorite places in all of Spain...the natural beauty of the surroundings and the peacefulness of the entire site is good for the soul! Also loved the small group of vendors near the monastery who were selling the most amazing goat cheese...we bought a small round and snacked on it for the next few days. Yum!